Patricia Caroline Durrant (Mustard), was born February 5, 1931 to LeRoy and Edgle (Hill) Mustard in Wolf Lake, Michigan. She was a loving wife to Dr. James Kenneth “Ken” Durrant and they were married on August 16, 1952. Ken preceded her in death in September 1999. Pat was an amazing and much loved mother to five children, Deb Durrant, Chuck (Sherlene) Durrant, John (Judy) Durrant, Jim (Kaye) Durrant, and Renee (Kirk) Goodman. She is also survived by her 17 grandchildren; 13 great-grandchildren; brothers, Jack (Julie) Mustard and Bill (Kathy) Mustard; as well as numerous nieces and nephews. Pat was a loving and caring woman and was always devoted to her family. She would often be seen at grandkids and great-grandkids sporting events cheering them on. The family meals that she prepared were legendary. Simply stated, her family “adored her”. The First Congregational Church in Portland was also a large part of Pat’s life. She had been a member since 1963 when she came to Portland. 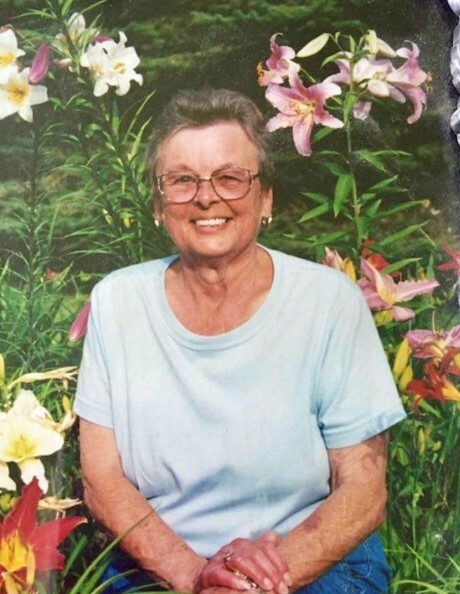 Pat was a gifted and creative woman; gardening, genealogy, quilting, cooking, and a good card game were some of her many interests. Pat was a wonderful mother, grandmother, and friend and she will be missed by many. The Funeral Service will be officiated by Pastor April Barrett and Rev. Dr. Marilyn V. Danielson at 12:00 p.m., Saturday, April 13, 2019 at the First Congregational Church, 421 E. Bridge Street, Portland. The family will receive friends from 10:00 a.m. until the time of the service at the church. For those wishing, contributions may be made to the First Congregational Church Memorial Fund or to Emme's Avengers (Rett Syndrome Foundation) in memory of Pat. Online condolences may be made at www.lehmanfuneralhomes.com.